You’ve had your Raspberry Pi for years, and you’ve tried a few projects… but they never seem to go right, or they seem to fail too quickly. Could it be that you got it wrong? Perhaps the SD card is unsuitable? Or, most likely, did you try and push your Raspberry Pi too far? Older Raspberry Pis are just as flexible as their modern versions, but they’re limited by hardware. If you want the very best experience, you need to upgrade your Raspberry Pi How to Update Your Raspberry Pi to the Latest Raspbian OS How to Update Your Raspberry Pi to the Latest Raspbian OS Here's why Raspbian Stretch is the best Raspberry Pi update in a while, and how to update your own Raspberry Pi to it. Read More to one of the recent models. When the Raspberry Pi Model B first hit the scene in 2012, it came with a modest single-core 700MHz CPU, and 256MB of RAM. Contrast that with the Raspberry Pi 3B+, which ships with a quad-core 1.4GHz CPU, and 1GB of RAM. Even if you don’t know about computers, the numbers should tell you that the 2018 model is far superior to the 2012 version of the Raspberry Pi. Sure, you can still run projects with a Raspberry Pi A or B, but the best results are going to be enjoyed with the newest model. Whether you’re trying to make an awesome Raspberry Pi media center Install Kodi to Turn Your Raspberry Pi Into a Home Media Center Install Kodi to Turn Your Raspberry Pi Into a Home Media Center If you have a Raspberry Pi, you can turn it into a cheap but effective home media center just by installing Kodi. Read More or a Raspberry Pi retro gaming machine Retro Gaming on the Raspberry Pi: Everything You Need to Know Retro Gaming on the Raspberry Pi: Everything You Need to Know The Raspberry Pi has plenty of uses, but perhaps the most fun is playing classic video games. Here's everything you need to know about retro gaming on your Raspberry Pi. Read More , you need the best Raspberry Pi available. Here are some use-cases and examples of when you might need to upgrade to a newer Raspberry Pi to do what you want to do. It’s easy to connect a USB storage device to your Raspberry Pi. Perhaps you use one with your Kodi media center, to watch home videos or movies you’ve downloaded on another device. But what about booting your Raspberry Pi from USB How to Make Raspberry Pi 3 Boot From USB How to Make Raspberry Pi 3 Boot From USB The Raspberry Pi is a versatile piece of kit, capable of a diverse range of tasks. But it has one glaring flaw: the inability to boot from USB. Until now, that is. Read More , and bypassing the need for a microSD card? This is possible, but only with a Raspberry Pi 3 or later. The Raspberry Pi A and B models, the Pi 2, and the Pi Zero models don’t include this feature, leaving you tied to the faster (but less reliable) microSD card for booting the computer. If you fancy booting your Raspberry Pi from SSD, HDD, or a standard USB flash drive, then you need to upgrade to the latest model. Many people use their Raspberry Pi to enjoy the Kodi media center software. With the right add-ons, this can be a great experience, but Kodi on an original Raspberry Pi can often be slow. When you’re browsing your movie collection it’s better to have things running smoothly. This doesn’t just mean for decoding video, but browsing the contents of a drive or online location, too. A Kodi installation needs to be fast, and if you want to use Netflix and Amazon Video with Kodi How to Watch Netflix, Amazon Video, and Plex With Raspberry Pi How to Watch Netflix, Amazon Video, and Plex With Raspberry Pi Struggling to get Amazon Video and Netflix running on your Raspberry Pi media center? Here's how to get instant access using Kodi with OSMC. Read More , so does your Raspberry Pi. Sure, you can use Kodi on Raspberry Pi A and B models, but the best results are enjoyed on the Raspberry Pi 3 and later. Retro gaming is great on any Raspberry Pi. From 8-bit computers to 32-bit consoles, via arcade machines, so many classic games can be revisited, or discovered for the first time. It doesn’t matter how old your Pi is, or how low spec. Even the Raspberry Pi Zero can handle emulation of older video games (and it’s so small, you could fit it inside your TV How to Turn a TV Into a Retro Gaming System With Raspberry Pi Zero How to Turn a TV Into a Retro Gaming System With Raspberry Pi Zero In this tutorial, we show you how to convert an old TV into a retro gaming console with nothing more than a Raspberry Pi Zero. Read More !). However, as the demand for emulation of classic video games marches forward through time, so the older Raspberry Pi models become unsuitable. While you can emulate a Commodore 64 comfortably on an old Raspberry Pi, emulating the Sega Dreamcast How to Play Dreamcast Games on Raspberry Pi With RetroPie How to Play Dreamcast Games on Raspberry Pi With RetroPie If you want to emulate Dreamcast games on Raspberry Pi, you can't use RecalBox. Here's what you need to do instead. Read More is another matter entirely. For that, you’ll need at least a Raspberry Pi 2, with better performance enjoyed when using the more recent Raspberry Pi 3 B+. 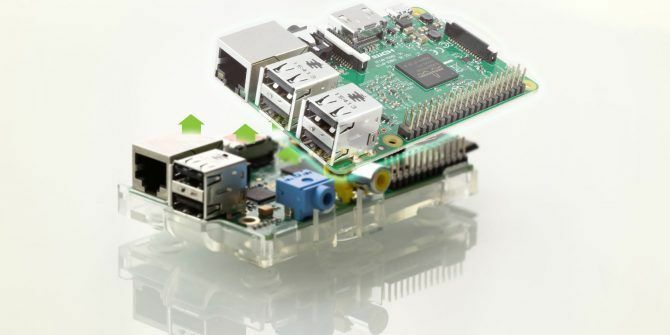 Thanks to Raspbian (and other Raspberry Pi operating systems 11 Operating Systems You Can Run on Raspberry Pi 11 Operating Systems You Can Run on Raspberry Pi The Raspberry Pi's hardware is only one side of the coin. Here are some different Raspberry Pi operating systems you can install. Read More ) you have a great selection of programming tools. These might get you started on the road to becoming a developer, or simply help you to understand computing and electronics. But Raspbian features other tools that you might want to take advantage of. A web browser, for example, and email client. Raspbian Stretch features many accessories and apps that you would find on full Linux desktop systems, not to mention the LibreOffice software suite. The problem is, running these applications on a Raspberry Pi Model B will leave you frustrated. It’s simply not suitable for use as a desktop replacement. On the other hand, the Raspberry Pi 3 and later are perfect desktop replacements 7 Tips for Using a Raspberry Pi 3 as a Desktop PC with Raspbian 7 Tips for Using a Raspberry Pi 3 as a Desktop PC with Raspbian The Raspberry Pi 3 makes an ideal desktop replacement for productivity purposes. But are you getting the best performance? Try these seven tips to improve the experience. Read More , giving you another reason to upgrade. Finally, while adequate, the connectivity of the older Raspberry Pi models falls short of the modern iterations. While all Model A and Model B Raspberry Pis feature an Ethernet port, only the Raspberry Pi 3 and later features built-in Wi-Fi and Bluetooth How to Setup Wi-Fi and Bluetooth on the Raspberry Pi 3 How to Setup Wi-Fi and Bluetooth on the Raspberry Pi 3 We finally got wireless and Bluetooth capabilities built-in on the Raspberry Pi 3, but how do you set it up? Read More . This may not matter for your particular project, but when wireless connectivity is required and you’re limited to just a couple of USB ports, it can quickly become an issue. As such, there is a strong case for upgrading an old Raspberry Pi, if only to take advantage of wireless networking. Just remember you’ll need a keyboard (or an SSH connection over Ethernet) to set this up. A new Raspberry Pi 3 B+ can be bought alone or bundled with a power supply. Pick one up today and bring your Raspberry Pi projects up-to-date! If you’re looking for some ideas of how to use your new Pi, see our collection of great Raspberry Pi projects 20 Awesome Uses for a Raspberry Pi 20 Awesome Uses for a Raspberry Pi With so many cool projects for the Raspberry Pi, it can be hard to decide what to make. In this mega guide, we round up 20 of the very best projects around! Read More . Explore more about: Buying Tips, Raspberry Pi. I recently bought an RPi3 B+. What a change over my RPi1 B. I have built a portable Jukebox, utilising a cheap Class D amplifier board (no RPi resources used, only a 3.5mm plug and cable). The amp will operate on any voltage from 12v to 24v. For a power supply, I use a 19.5v 4.62a Dell laptop charger with a buck converter attached. This provides 19.5v, 3a for the amplifier, and 5.1v 2.5a for the Pi. Running on 5.1 volts ensures I never get the dreaded yellow lightning bolt. For speakers, I have 2 x 3 inch 8ohm speakers salvaged from an LG home theatre. My device has a 5inch touch screen attached, wireless mouse and Bluetooth mini keyboard, plus a superfast 128GB USB3.1 flash drive attached, for storage. It boots in 23.8 seconds and is as fast as a higher end dual core desktop computer. You don't need DOS Box for Doom on the older models. Chocolate Doom compiles on Raspbian, and I imagine someone has even created a package at this point. Chocolate Doom, for those not in the know is a source port that does its best to play like the original executable while still working correctly on a modern platform. Or you could ditch the anemic Raspberry boards as a whole and move on to more powerful alternatives that run circles around them like the Odroid XU4 or new Rock64 Pro. Kodi runs butter smooth on the XU4 compared to even the new Pi 3 B+. You could ditch Kodi too which is "so 2012" and move to a much more stable and better media center like Plex. It smokes Kodi. Then for retrogaming even the 3 B+ gets smoked by these alternatives in N64, Dreamcast, PSP, and even Saturn especially when the Raspberry can't even run Saturn. I have 2 x Pis and an Odroid. Whilst the Odroid is the fastest of the three, it really lacks support. Very few OS packages available and even less software. I ended up installing Android 4.4 (Kit Kat) on it, but I can't access the Google store. Depends why you use a raspberry Pi. For media center and for NAS use you have to completely change board specs if you what something useful. Most of PI board, original or clone have sloppy secondary components. I switched over to the tinker board and it has been phenomenal. The boost in CPU/GPU/memory really make a huge difference, especially with N64 emulation.